I ran into an issue with my first Microsoft Office 365 cloud hosted deployment. I went to go log in as the administrator to work on an issue and I found that my password had expired. I then discovered that by default, all user passwords are set to expire every 90 days. If you don't want such a policy, it IS possible to disable. Though you won't find the settings anywhere in the Admin portal GUI. You'll need to use some PowerShell scripts. You'll need a few tools installed on your workstation in order to get Powershell working. Now that you have the tools in place, launch PowerShell but going to Start -> All Programs -> Microsoft Online Services -> Microsoft Online Services Module for Windows PowerShell. Then you'll see a login window. 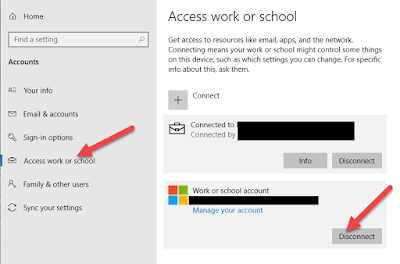 Enter your Office 365 username and password. You won't get any confirmation or anything, but as long as PowerShell doesn't give you an error, then you've done it correct. Update : One important thing I've discovered is that this script doesn't disable the password expiration for the entire system once and for all - it's only disabling it for the user(s) that you specify that exist right now. So if you create a new user tomorrow, I believe that users password will expire in 90 days by default. So you'll need to run this script each time you create a new user account!